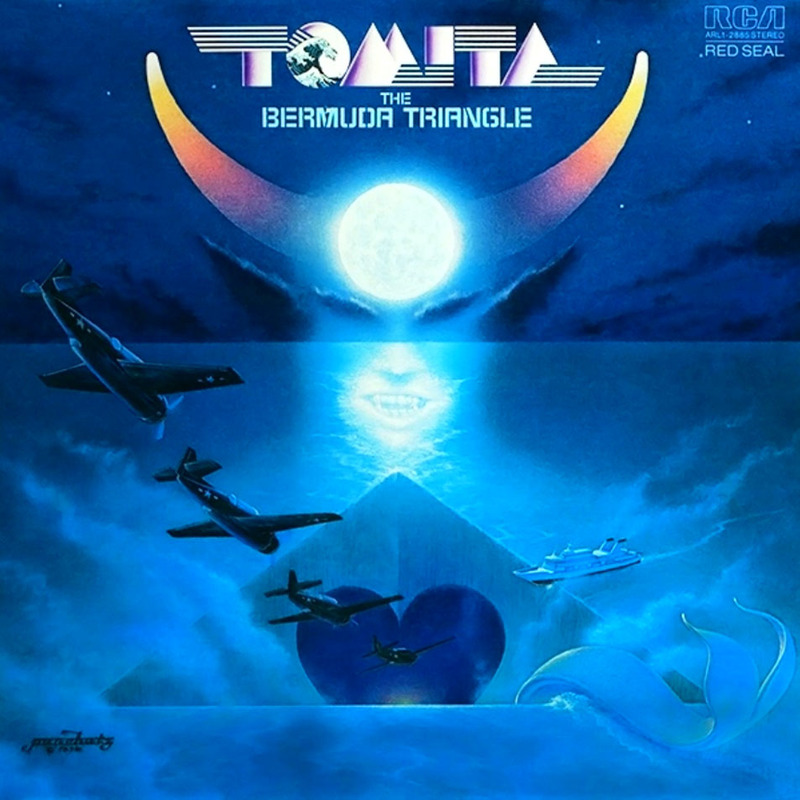 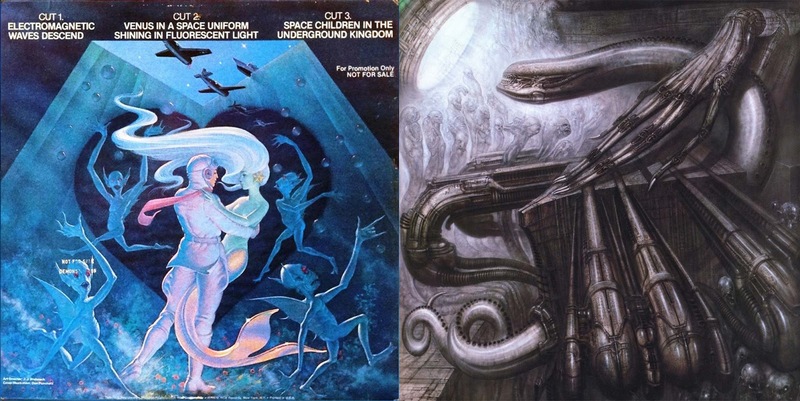 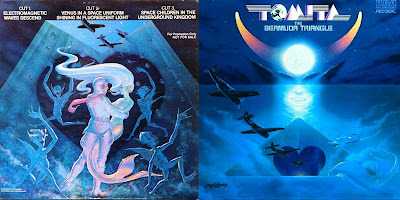 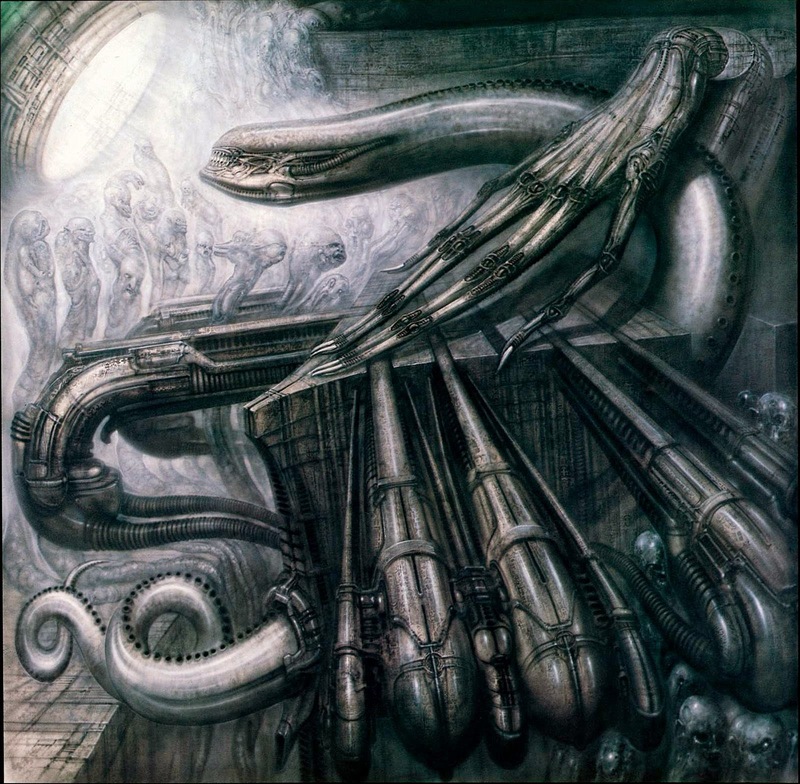 a) 13th May 2016, I realised that Giger had taken shapes and forms from Tomita's Bermuda Triangle record album cover for his Alien monster III. 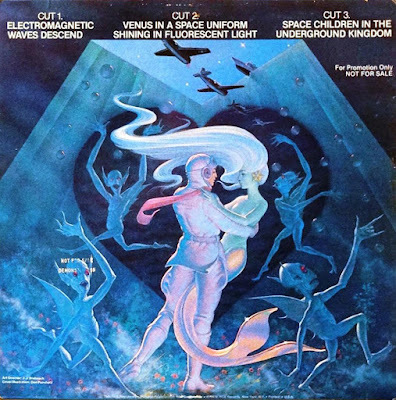 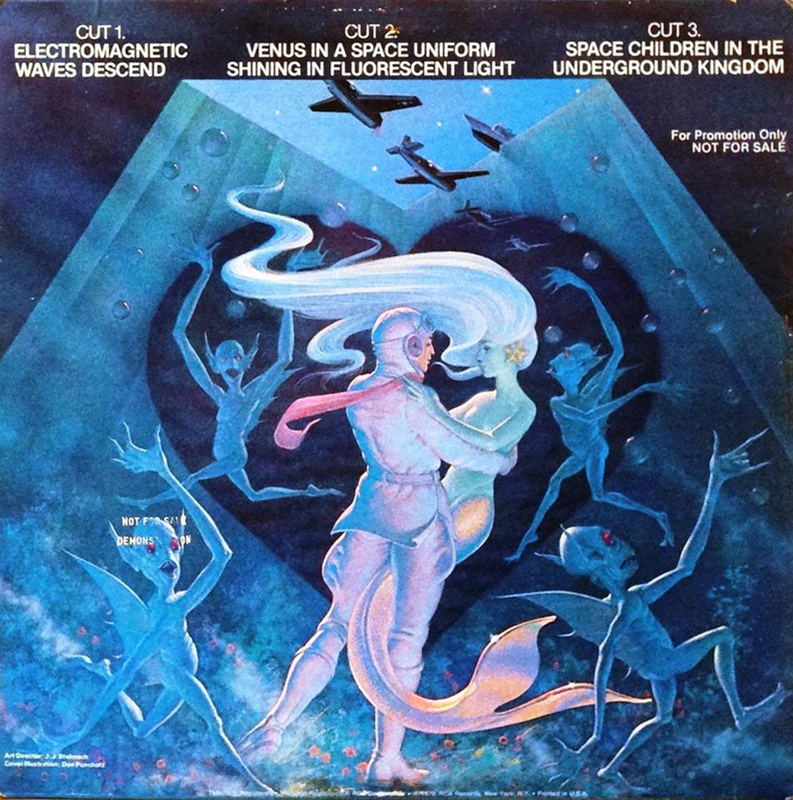 On the back an aircraft pilot is seen to embrace a mermaid and a group of demons dancer around them. 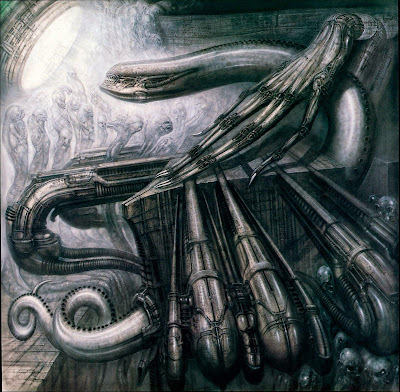 The mermaid's hair becomes the bend in the long neck of the serpentine alien creature in Giger's painting.